I was getting bored with making the same old things like Mexican, pasta, sandwiches, and salads. Some new healthy meal plans on a budget were in order. So I went on the hunt to find something new. I also realized I was leaning a little too much on starches, so I picked out some new recipes that are healthy and frugal. I went to my favorite place to get new ideas for frugal meals. “Where is that?” you ask, Pinterest of course. Check out my Pinterest boards here and follow me while you are there to keep up with my latest inspiration. I got a little carried away collecting new healthy, budget recipes, so instead of one article, I did a budget meal planning series. This is the second in a series of three articles. You can find the first budget meal planning article here. The third will focus on cheap crockpot and inexpensive InstaPot recipes. I go through the foundations of how to save on food here. 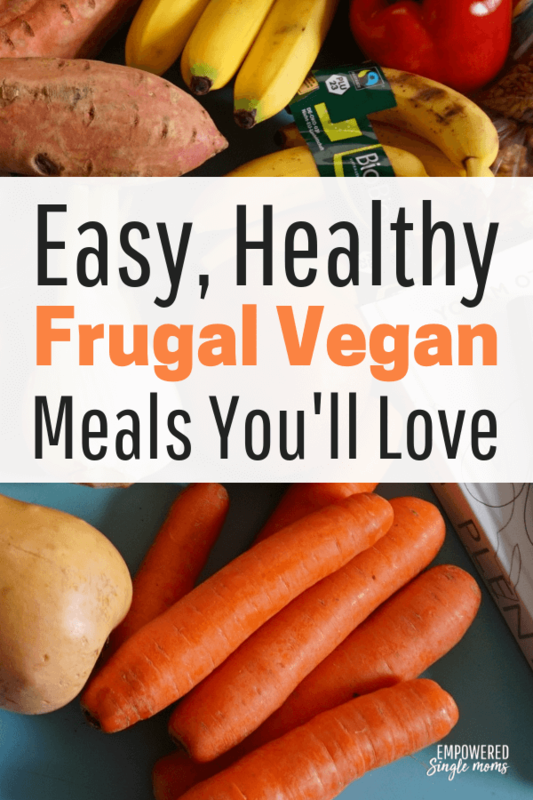 Cutting out meat or limiting it is a great way to have frugal meals. I eat a few vegetarian meals every week, but lean heavy on cheese in those meals. I wanted some other options that would be healthier and get me away from my beloved cheese. I found several cheap vegan meals that I am excited to try. 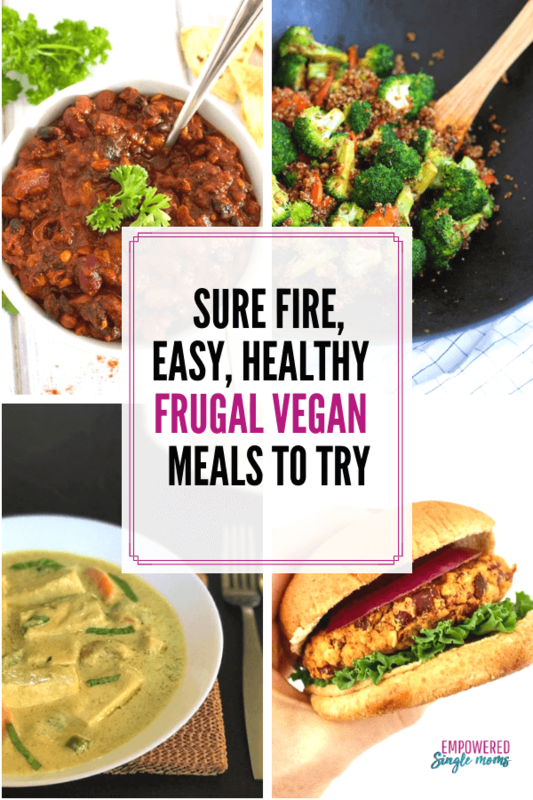 There is a lot of variety in these meals but the main ingredient in several is beans, which is a frugal vegan meal planner’s go-to ingredient. Falafel is one of our favorite vegan meals. Even my carnivore son likes it. We usually make it vegetarian instead of vegan with a yogurt sauce, but a tahini sauce is good too and keeps it vegan. If you are looking for more vegan meals this is my favorite vegetarian cookbook. It has many vegan recipes. What are some of your favorite vegan meals?